The Steamboat Mardi Gras events celebration takes place in Steamboat Springs Colorado February or March. 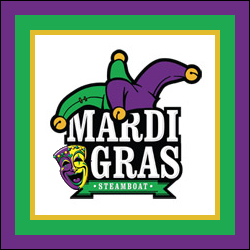 Come and brings the friends and family and celebrate Mardi Gras Steamboat Springs style. Join the fun with the parades, free concerts, the Cajun BBQ and beer festival, and so many more activities. Mardi Gras themed food is everywhere during this week long fest, and you can bet your favorite restaurant and dining establishment will be serving up some great Mardi Gras and Fat Tuesday fare. The Festival wraps up with the snow sculpture art competition and beads to go around . . . have a great time in Steamboat! 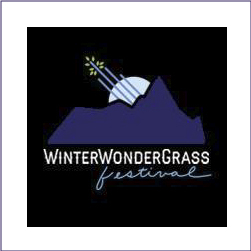 The Winter Wondergrass Festival event celebration takes place in Avon Colorado in February. Make your way to wonderful Steamboat Springs Colorado and attend this unique and festive musical gathering featuring great bluegrass strings and roots performances and more. Local brewery creations will also be available as well as whiskeys and great food. The Winter Wondergrass Festival or WWG is a sustainability focused and committed event community. Discover more lodging deals for Colorado. 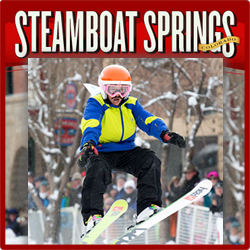 The Steamboat Springs Winter Carnival events take place in Steamboat Springs Colorado in February. Winter Carnival celebration is a wide collection of events and activities – a true winter tradion in Steamboat for well over 100 years! Featured activities include ski-jumping, fireworks, the parade, Night Extravaganza, Lighted Man skiing down the slopes, Winter Sports Club activities, Nordic Dash, Street Slalom, Ski Joring, the Donkey Jump, and more. Discover more of Steamboat Springs CO at the Steamboat Guide. 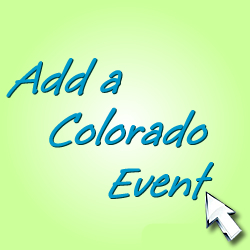 Add your Event to our Colorado Directory today. At ColoradoEventGuide.com we promote Colorado events, festivals, expos, community celebrations, school – church – and non-profit fundraisers, business grand openings, art shows and festivals, wine tastings, and more.